Bernie Sanders is the developing world’s worst nightmare. Not gonna win the vote in Hanoi. 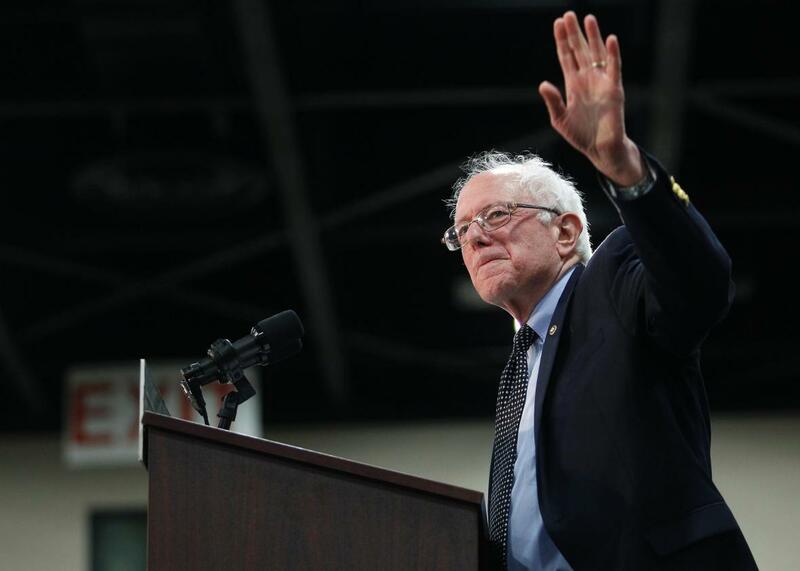 Bernie Sanders, it is often noted, has never met a free trade deal that he liked. But in his recent interview with the New York Daily News’s editorial board, the senator from Vermont outlined the trade terms he might find acceptable. His statement should be absolutely chilling to the developing world. It is one thing to argue that we should not do business with nations that actively manage or manipulate their currencies, as Sanders sometimes does, since exchange rates are supposed to be the market’s main mechanism for balancing trade. It’s also entirely reasonable to support workers’ rights to unionize abroad or push for stricter environmental protections. Indentured servitude and slavery, which are more widespread than many realize, need to be wiped off the face of the earth. Those are all issues that trade pacts should absolutely address. But a blanket rule against trade with low-wage nations is different. The entire point of trade is that countries have to play to their strengths, which makes the entire global economy more efficient. If you happen to have a highly educated population, thriving capital markets, and lots of high-tech expertise—like the United States or Germany—you’re going to export high-end services like banking and advanced manufactured goods like cars and airlines to the rest of the world. On the other hand, if your only advantage is an abundant pool of relatively unskilled labor willing to work 65 cents an hour, then you can probably carve out a niche in textiles and electronics assembly, then gradually build know-how and work up to something more lucrative. But if the United States comes along and says, “Sorry, Vietnam, we’re not going to buy another T-shirt unless your people start earning $5 or $7 an hour,” factory workers in Hanoi aren’t suddenly going to get a raise. Factories are going to close, and businesses will move their operations to a country where employees are productive enough to justify developed-world wages—which typically means the developed world. The U.S. will have just undercut Vietnam’s only relative strength. What I can’t tell is whether Sanders simply doesn’t understand this, or doesn’t care. Maybe he thinks the only reason seamstresses in Vietnam don’t earn more is that they don’t have enough bargaining power, which while wrong would be empathetic. Or maybe he’s just more concerned about the well-being of a relatively small number of American workers than he is about the global poor. But if that’s the case, he should wrestle with the moral implications of that stance, which Vox’s Zach Beauchamp has explored in wonderful detail. Global trade has certainly hurt many American workers. But it’s also been the driving force behind historic declines in poverty. Chinese imports may have cost the U.S. as many as 2.4 million jobs from 1999 to 2011. But during roughly that same period of time, the World Bank notes that China lifted 290 million people out of extreme poverty. Balancing those human interests against each other isn’t simple, and so far the U.S. has done a fairly miserable job supporting communities that lost their livelihoods because of trade. But simply writing off hundreds of millions of workers the world over doesn’t seem like the right response.